For many of us, summertime means slowdown. A slowdown in demands from other departments, a slowdown in sales, and a slowdown in website traffic because our customers are off vacationing with their families in beautiful locations; putting thoughts of our services and products out of their minds. There are two great approaches to making the summer work for you: use the time to update your brand and content, or create new campaigns designed to entice your visitors—even while enjoying faraway beaches. 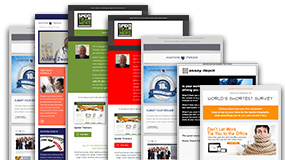 It’s easy for a home page to become outdated, but think of your home page as your business card. This is very often the first impression a potential customer will have of your business. Sometimes it’s outdated because the images show fashion trends or technology that changes quickly, sometimes it’s because your company has changed direction, or sometimes you have a new logo or brand. Whatever the reason, take a moment to give your home page the once over and update as needed. 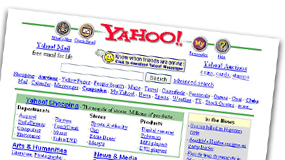 Search engines now show preference in search results to websites with mobile-ready versions. Take just a moment and load your site on your phone and see how it looks. If it’s not an ideal view, it’s time for a makeover. To see what your site looks like on your customers’ or clients’ devices, click the Show Me button below. Links to and from your website can help you with your search-engine optimization, but some say it’s at the risk of losing sales to another site. We disagree. 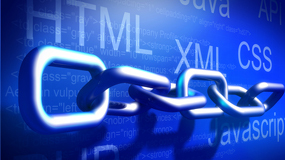 Outbound links will help you when done correctly. Link ONLY to content supportive of the content on your page—which validates what you have written—and open the link in a new page or tab so your visitor is returned to your site when done reading. Take a cue from the likes of Google, Instagram, IHOP, and Open Table and update your logo. It can be something simple, such as a color change, or go all out and hire a designer for a whole new look. This is such an easy thing to miss—buried at the bottom of web pages, we seldom see it and even less frequently update it. Nothing says “Our site content is outdated,” like a copyright from 2012. 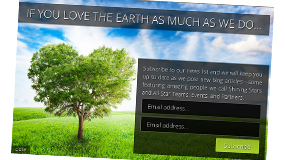 Yes, yes, we all agree: Pop-up subscriber forms are annoying—but, they are also effective. Using animation is one way to take the sting out of the annoyance factor. 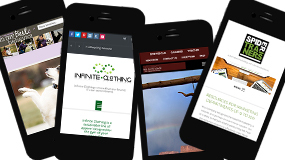 We have used the WordPress Layered Pop-up plugin on the Infinite.Clothing website. Click the Show Me button below to see it in action. Websites are designed to be visual. If your site is suffering from too much text, consider breaking up long pages into series of linked pages and adding lots of images. The page-to-page links are good for SEO and imagery helps visitors relate to your product or service. 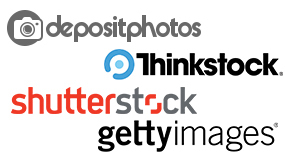 We use DepositPhotos because of the wide variety of images they offer. Click the Show Me button to visit their site. Few changes to your site will draw as many visitors, or engage current visitors, as adding a resource center can. 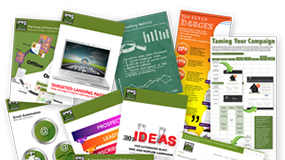 Take a look Spider Trainers’ resource center (click the Show Me button below) and you’ll find it’s brimming with content to help you with marketing and web questions. Galleries and portfolios are great ways to show off your best work or best clients. 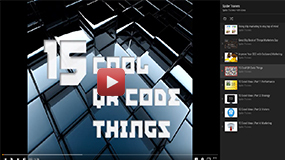 You can create a gallery of images, text, PDFs, or even videos. Be sure to tag and title each piece of content with appropriate keywords so the search engines will find them and give you preferential ranking to reward your hard work. While you’re working through some of these tips for updating the look of your website, don’t forget to extend the new design to your social media. A newly uploaded image usually shows up in your timeline and can give you a little boost in traffic. A sitemap is an organized visual or text representation of your website’s content—basically a table of contents with links to each page. Search engines, such as Google and Bing, use XML sitemaps to understand and make an index of your organization and content. This information is then used to display your site in search-engine results when matching keywords are typed. Sites such as Google and Yelp enable your customers to leave reviews, but you should take a moment to claim these listings, update the information, add a logo, and manage any reviews already there. 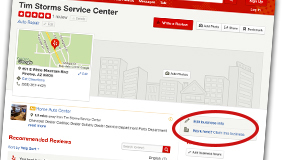 Just search for your business on the host site, look for the Claim this Business button or link, and follow the instructions. We’ve dealt with more than one instance of a competitor or angry customer taking over a client’s listings and using it to display their own hateful or disparaging messages. Your customers may have some downtime too, and if so, this is a great time to ask them to complete a feedback form or survey. While you’re at it, send them links to your Yelp or Google page and ask for a review there as well. 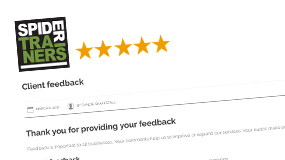 Gather up the great things people have said about your business from sites such as Yelp, Google, Bing, and your own customer-feedback form, and publish them in the footer or sidebars of your site’s pages. 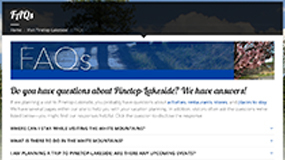 Create an FAQs (frequently asked questions) page at your website. Not only will it help your customers, but the amount of time your visitors spend on a page and at your site is measured by search engines. The longer they stay, the more relevant the search engine deems you (for people searching on a specific term). The more FAQs you have, the longer the visit may be. See the one we built for the Town of Pinetop-Lakeside by clicking the Show Me button below. 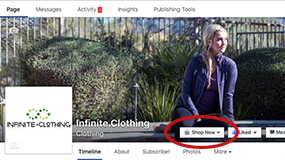 If you have a retail store, add a Shop Now button to your Facebook page. This is a shortcut to the store on your website, but you could take this a giant step further by using an app such as Shopify or Ecwid to embed a store right into your Facebook page. Goals are a way to measure how well your campaign or site fulfills an objective—called a conversion—such as making a purchase, completing a game level, or submitting a form. 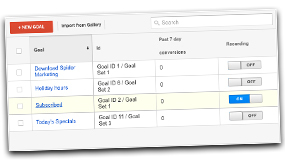 Completed goals can show up on your Google Analytics report and provide you with the actual number of people who have successfully reached the goal. The point where they convert from being a lead to being engaged as a subscriber or customer. If the conversion number isn’t as high as you would expect, you can tweak the campaign to improve conversions. 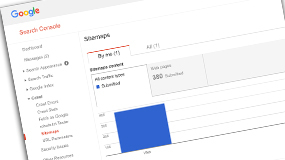 An easy way to get a YouTube account up and running—which is great for your search-engine optimization—is to repurpose corporate slide decks as video. Simply use PowerPoint or Keynote to animate the slide transistions and add a voiceover to narrate. 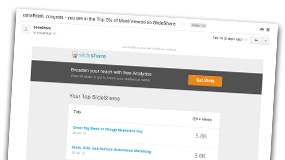 While you’re reviewing your corporate decks for video conversions, also consider which could be published as regular decks on SlideShare. This website is owned by LinkedIn so don’t forget to post a notice to your LinkedIn newsfeed when you publish. Our production, Great Big Book of Things Marketers Say, was in the top 5% of downloaded documents and generated loads of traffic to our site. Whether you sell products or just want to draw attention to sections within your website, consider using the Uber Menu WordPress plug-in to increase interest. 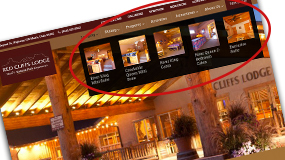 Click the Show Me button to see how we’ve done this for Red Cliffs Lodge in Moab—now their rooms are displayed in the menu before even making a selection. It’s easy to feel like marketing costs are out of control, especially when you cannot directly link revenue to your efforts. 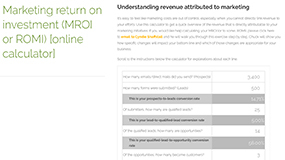 Use our free, online ROMI calculator to get a quick overview of the revenue directly attributable to your marketing initiatives. If you want even more information, subscribe to our publications and we’ll send you the full suite of calculators. Website hacking is at an all-time high, meaning a backup of your site is more important than ever. 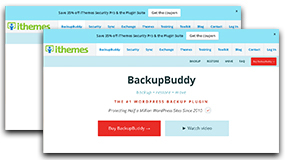 Take a moment to install Backup Buddy if you have a WordPress site, or if you’re still using HTML, log in to your host, and make a complete backup. Copy the backup to a jump drive, CD, or store it in your Google Drive (in the cloud) so even if your computer becomes comprised, the backup to your site will be protected. 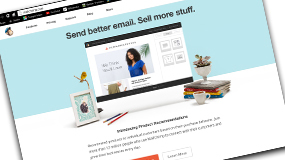 MailChimp is a very robust email-automation application and for small lists, it’s free. Sign up for an account today and then set up your website’s forms to automatically import your leads into MailChimp and respond with an automatic welcome email. 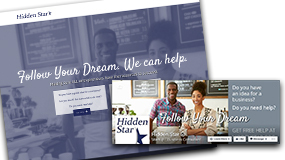 As you learn more about the program, you can create fully automated drip, nurture, and blast email campaigns (or have Spider Trainers build them for you), and stay in touch with your customers without so much as raising a finger. An easy way to update your site, without starting over, is to apply a new theme. Applying the theme can be beyond the beginner’s skillset, but with the help of Spider Trainers, it’s an affordable way to give your site what looks like a major overhaul. 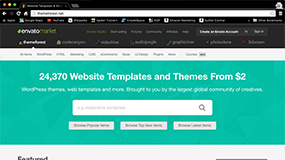 ThemeForest has tens of thousands of themes prebuilt, ready for just a bit of customization. Click Show Me to visit their site and choose a new theme. Consistency in design across all of your online properties — website, emails, social-media wallpapers, and the like — help to make you memorable. 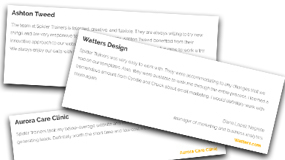 Engage Spider Trainers to create an email theme to match your website and boost your brand recognition. The best way to understand the effectiveness of your marketing efforts is to track the analytics, but admittedly, Google Analytics is a tough nut to crack. 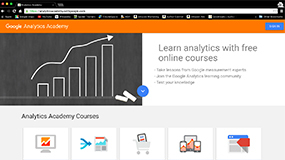 Attend the Google Analytics Academy and you’ll be able to make sense of all those charts, graphs, and numbers. 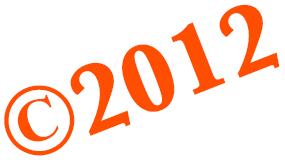 This is the fifth edition of the pioneering guide to the future of marketing. 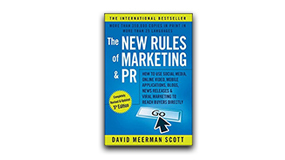 It is a practical guide written for marketing professionals, PR professionals, and entrepreneurs who want to grow their businesses and create success. The author covers the topics in-depth and you will learn how businesses of all sizes can leverage online content to gain new customers.